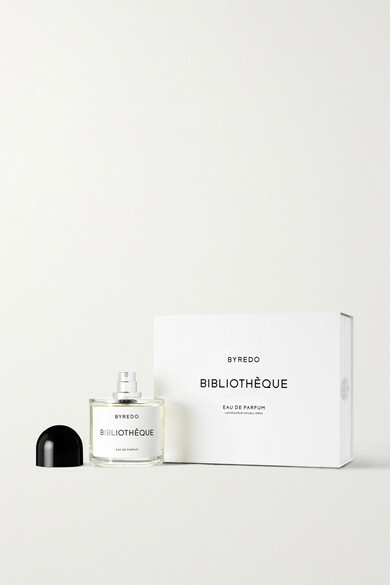 In response to the unprecedented popularity of its 'Bibliothèque' candle, Byredo introduces the fragrance as an Eau de Parfum for the first time. This intoxicating scent opens with fruity Peach and Plum top notes and is lifted by a heart of floral Violet and Peony accords. It's grounded by an earthy base of Patchouli, Leather and Vanilla that lingers on the skin.